I like to try new bourbons. 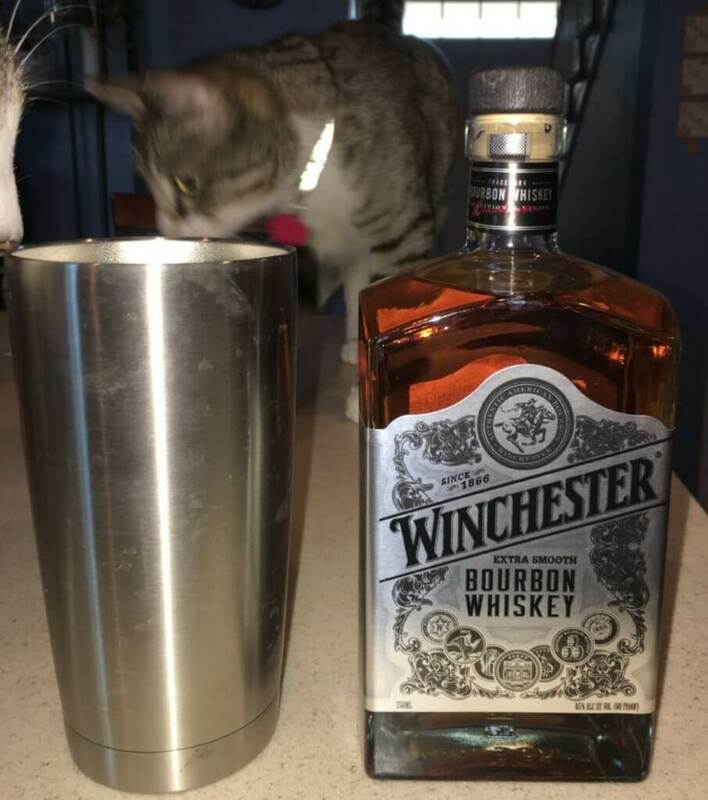 Sometimes I find things that surprise me by how good they are, and other times I end up with something like this Winchester Extra Smooth Bourbon which left me feeling cheated that I spent $23 dollars on it. The first sip made my eyes go wide as the whiskey slid over my tongue and hit the back of my pallet. It feels thin and has a strange aftertaste that is hard to describe, other than it reminds of me of my days working at a chemical plant and accidentally getting a whiff of petroleum products that made your throat burn. Overall, Winchester Extra Smooth Bourbon earned its 15/100 score and I’m still shivering at the memory of the taste. Maybe you can use it to clean tools? Both my cats wanted to be in the picture.